This is now a done deal. 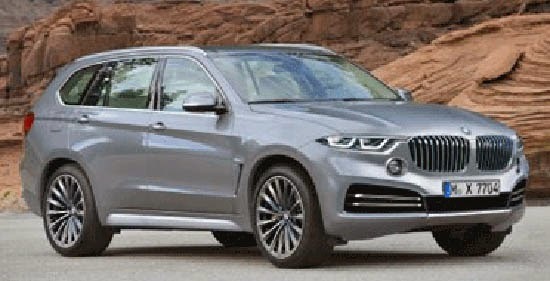 BMW will have a larger SUX called the X7. Produced in the US. I guess they really want some of that Range Rover market. Plus, profits will be amazing in the overpriced beast. This is just an illustration. But it is probably close to the real thing. Good god.... I hope BMW isn't starting the same S--T that Acura has been trying with those stupid cat whiskers on its cars. It looks idiotically overstyled.
" I hope BMW isn't starting the same S--T that Acura has been trying with those stupid cat whiskers"
Why not? I've always thought that the large BMW grilles look like pig snouts. And the vertical slats are nose hairs. The entire front of BMWs lately looks like an Angry Bird character. Just wait till they make it 2door, hatchback, convertible…….can bmw have any more models?